Please note, this video was directed by Cuyler Ballenger. 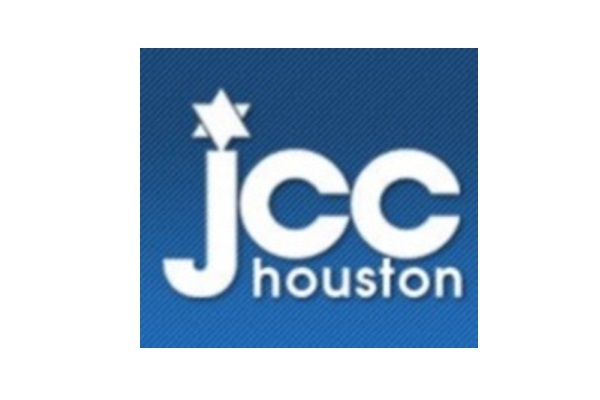 Currently, workshops are being held at the Harris County Precinct One’s Finnigan , at the Jewish Community Center, and Amazing Place, a day center for individuals with dementia. In the past, workshops have been held at Talento Bilingüe de Houston, Lincoln Park Community Center, Denver Harbor, Hester House, Ripley House, and Magnolia Multi-Purpose Center. Workshops traditionally run from September to May on a weekly basis, with each class meeting for 1½ – 2 hour sessions each week. 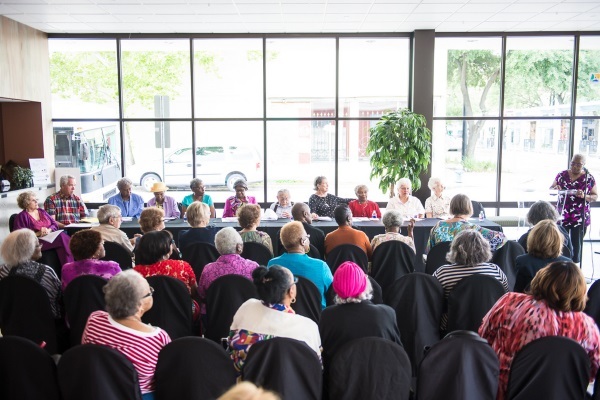 These Inprint workshops are the only programming offered in the Houston area focused on helping senior citizens recall their life stories and capture them through the written word. Based on the theory that good writing and storytelling are keys to a healthy mind, these workshops enliven memories and involve seniors in a stimulating group activity. Workshop participants (enrolled through the community centers) write about their lives, recording them for their children and grandchildren, themselves, and their communities, preserving family and community histories. By writing, reading aloud, and revising their stories and memoirs with a skilled writer/teacher, the seniors experience a sense of accomplishment, enhanced mental alertness, and increased well being. 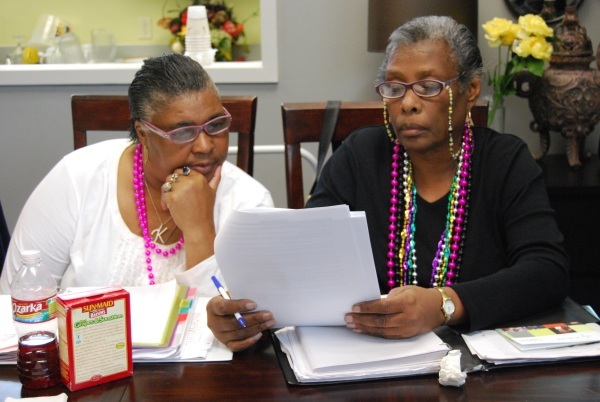 These workshops also provide the seniors with an all-too-rare opportunity for personal growth. As one senior put it, “I think it’s good for older people to do this. It’s a completely new experience for me, and it’s good at 84 to have new experiences.” Additionally, the act of writing and responding to the work of others strengthens their cognitive abilities, so that they can continue to enjoy full, independent lives. The participants in the workshops develop a deep kinship for each other and are each other’s best critics and fans. One long-time participant has since published her poetry in regional literary magazines, and has read her poetry at the Houston Poetry Fest and the Round Top Poetry Festival in Round Top, Texas. In it’s fourth year, the participants in the Lincoln Park workshop took on the challenge of writing fiction. In so doing, they drew on the rich experiences of their lives to develop characters and a sense of place. This was a particularly difficult exercise and was one of the most intellectually stimulating activities offered to senior citizens anywhere. 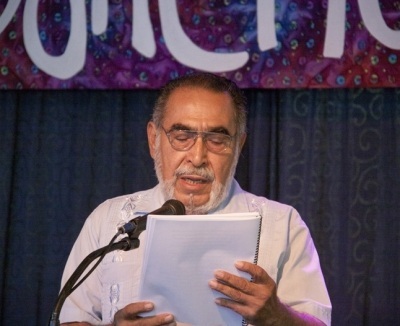 Workshops are led by skilled local writers, many of whom are UH Creative Writing Program students and alumni. 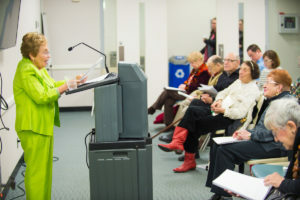 Annually, each workshop leader selects work by the participating seniors to publish in an anthology, copies of which are given to the participants and the host centers. The workshops end with a public celebration where participants give a reading of their work for family, friends, and community members. 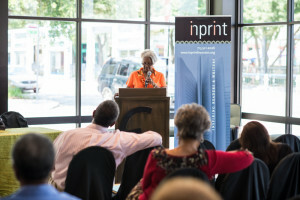 Inprint is deeply grateful to The Samuels Foundation and Robin Angly and Miles Smith for providing underwriting support for this invaluable program.